Today, April 2 is Autism Awareness Day. Let's be honest, everyone at this point in time has heard about autism. With numbers now reaching 1 in 68, it should be pretty common knowledge, right? So, do we really need to be aware? Shouldn't we all be aware already? Yes, we SHOULD...but each and every day we are still seeing old stereotypes and misconceptions. We still have people who believe autism is a made up disorder, an excuse for bad parenting. There are those who think kids with autism just need more discipline, or that you can simply spank the autism out. There are still people who, upon finding out my son carries the diagnosis say things like, 'But he looks so normal' or 'he's so smart' or even 'oh, he'll outgrow that'. There are grown men who have the nerve to yell at a child who is struggling to process the world around him because they think he is just misbehaved. There are still those who hear autism and think of Rainman. There are still children being teased and bullied because they are not like everyone else. There are still parents fighting to get their children the services their children need. The reality is, we have all heard of autism, and may even have a slight idea of what it is...but unless you are living it each and every day, there are few who truly understand it. And so I will continue to do everything I can to raise awareness for my sweet boy. I will fight to prove those stereotypes wrong. To show the world how smart and sweet and loving he truly is. 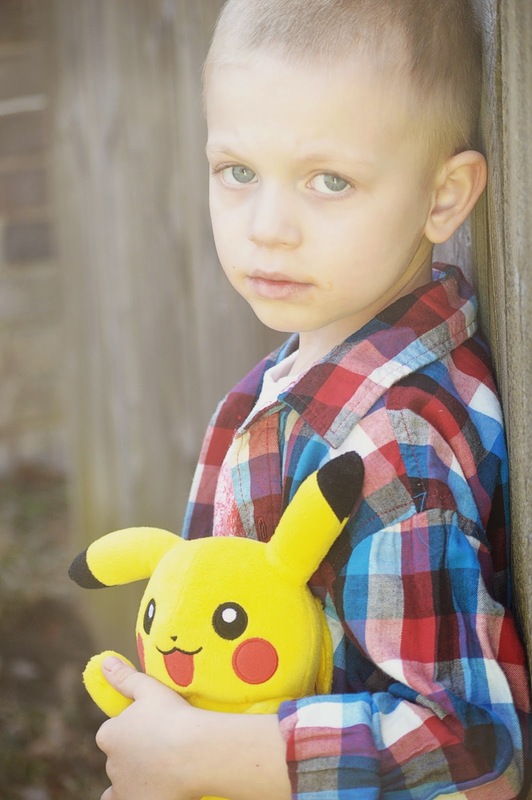 To fight so that he is given the respect that he deserves and not seen as less than simply because of a diagnosis. I will fight for him to live in a world that not only accepts him, but truly embraces and loves him as I do. Today, throughout the month of April and every single day. I encourage each and every one of you to help too. Wear your blue, change your Facebook photo, share the facts, donate to an organization...there are many ways to show your support. How will you? Bravo. Great post. Have you heard of any blog hops going on this month for Autism?